Featuring Goodyear's SmartTREAD Weather Reactive Technology the Vector is a cost-effective all season tyre that adapts to whatever the weather brings. The technology activates different parts of the tread to cope with any weather condition. The Vector 5+ and Eagle Vector 2+ feature a blade arrangement which allows you to keep maximum control on all road conditions. 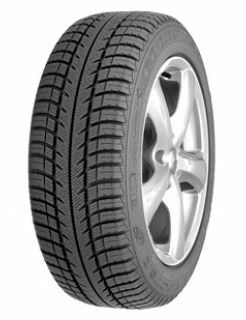 The tread compound is created to give you optimum grip in varying weather conditions. Goodyear's V-TREAD technology reduces the chance of Aquaplaning in wet conditions. The grooves in the tyre quickly disperse the water and/or slush to give you as much grip as possible. The SmartTREAD Technology ensures that the tyres last for much longer and therefore reduces your impact on the environment.